Save 31% on the Baby Jogger Glider Board, Free Shipping! The Baby Jogger Glider Board is on sale for $48.10 at Amazon right now. That's 31% off the list price of $69.95! 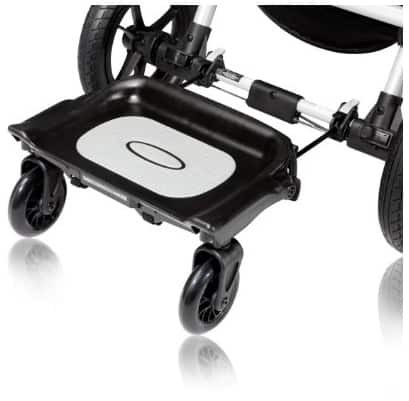 Attaches to the rear axle of your single or double Baby Jogger stroller. Provides a space for an older child to ride along. Glider board is compatible with City Series and Summit models.